It's finally spring in Japan, after months of a freezing cold winter. Spring is the time for rebirth and renewal, but not just in nature. It's also the time to clean, declutter and renew your home! We've been inspired by the Queen of Spring Cleaning (and cleaning in general) - Marie Kondo! If you haven’t heard her name before, we'll introduce you. Marie Kondo is the author of The Life-Changing Magic of Tidying Up, as well as the crazily popular Netflix series, Tidying Up with Marie Kondo. 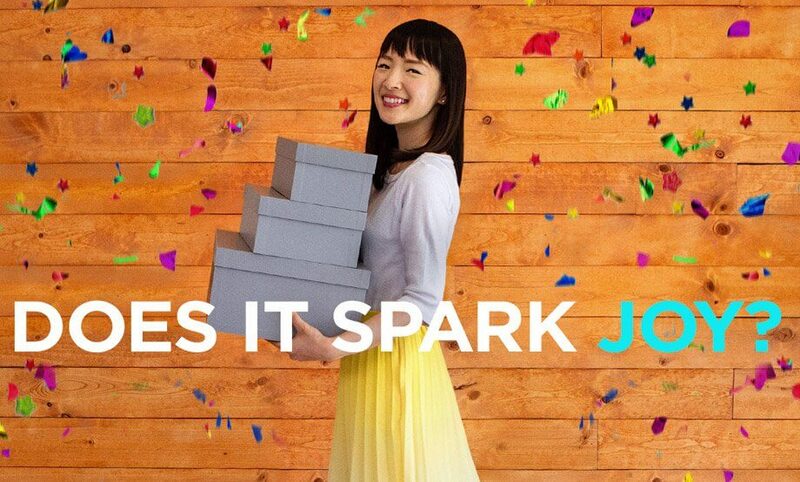 She’s inspired millions to simplify and organize their homes, and lives, with the KonMari Method™. Marie has six basic rules of tidying up, but we think the most important is: Does the item spark joy for you? She also breaks up tidying into five categories, which includes komono (miscellaneous items). We handpick every item in our ZenPop Ramen, Sweets, Mix and Stationery packs to make sure they spark joy for you! As stationery falls into the komono category, we thought we’d give you some creative ideas to display and organize your growing ZenPop stationery collection! The simplest solution is to store your ZenPop stationery in your ZenPop packs! After a couple of months, you can split your collection into one box for notebooks, pens, washi tape and so on! 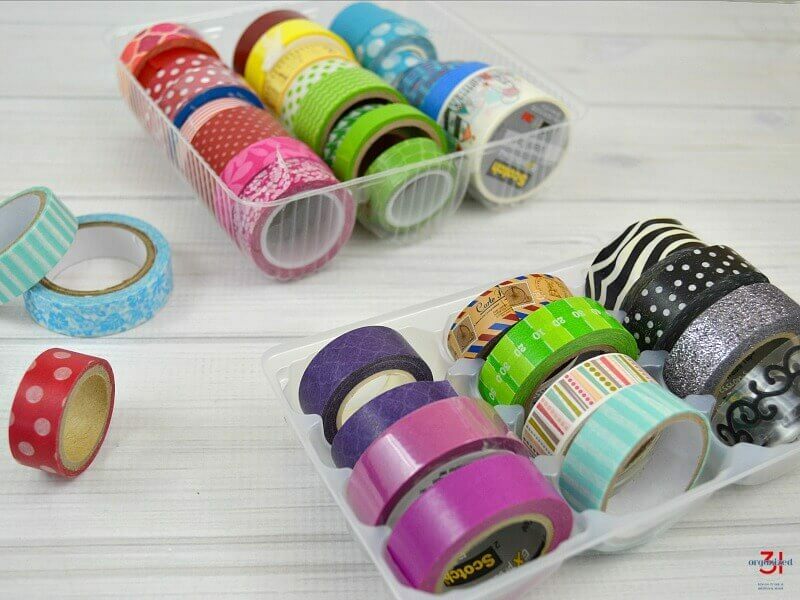 We ❤ washi tape and always include a bright and colorful roll in each month's Stationery Pack. So, if like us, you now have quite a collection, here are some snazzy and accessible ways to organize it. How simple and easy is this! You can organize and display your washi tapes in plastic cookie trays. Genius...and not just because you have to eat lots of cookies first! 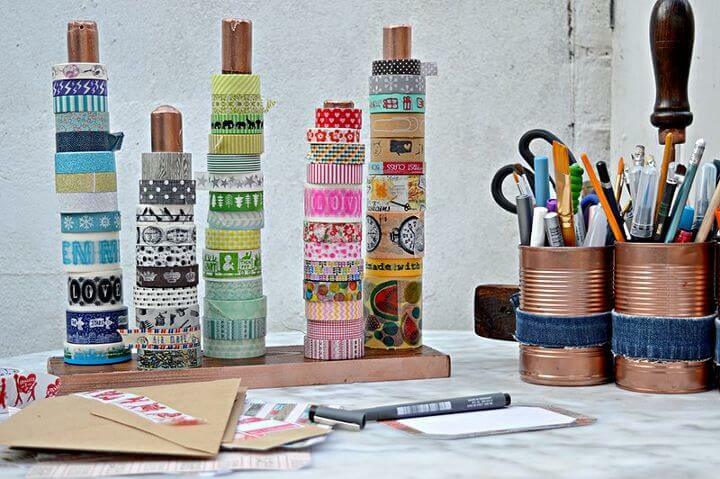 If you’re a bit crafty, this DIY washi tape holder is a great way to see all your rolls of tape at a glance and would look great in your home office or craft room. 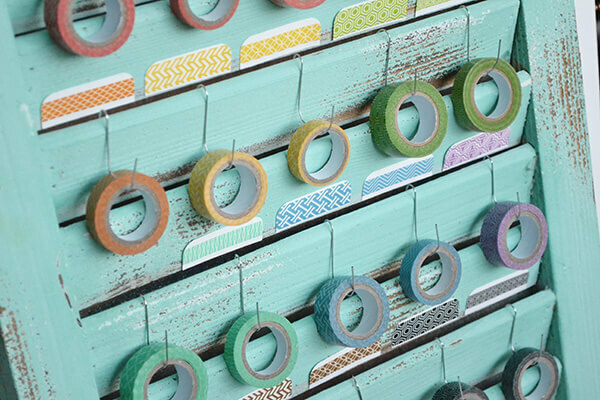 Reuse an old window or door shutter, add a few hooks and hey presto...another great and inexpensive way to beatifully display your washi tape rolls. Check out this video for another easy and inexpensive way to make your or washi storage insert. If you keep a bullet journal, a pen is your essential tool. And of course, you need more than one! So what is the best way to arrange them? This first idea is so kawaii! We love how they’ve arranged their stationery to look like a beautiful tea set. You could also use a collection of vintage or colorful glasses to make your own stationery tea party at home. 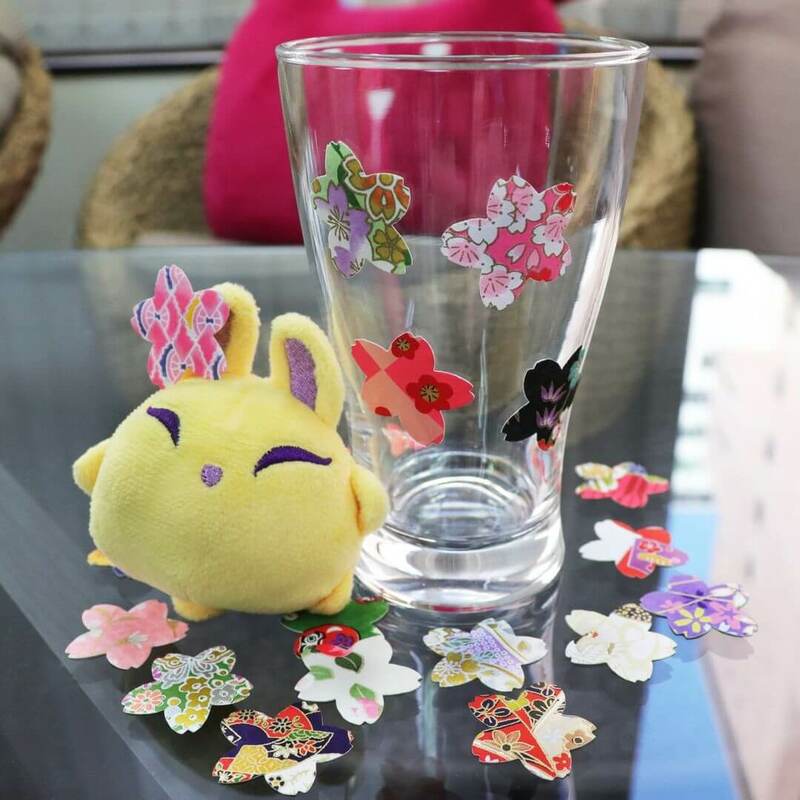 AND you can decorate your classes with cute stickers such as Luna did with the washi stickers from April's Sakura Pack. Or go for a more polished look, with a range of simple tins or pails. 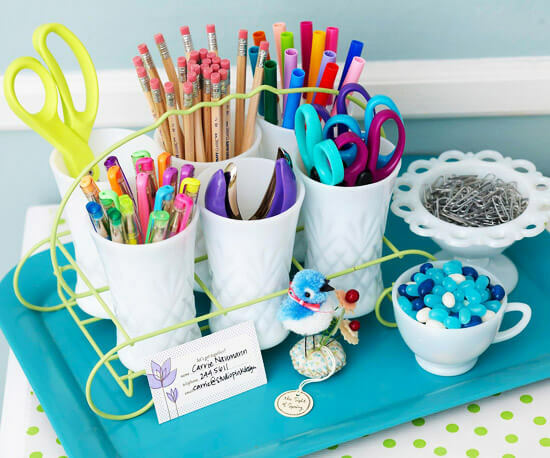 We also love this DIY custom storage pen holder idea. 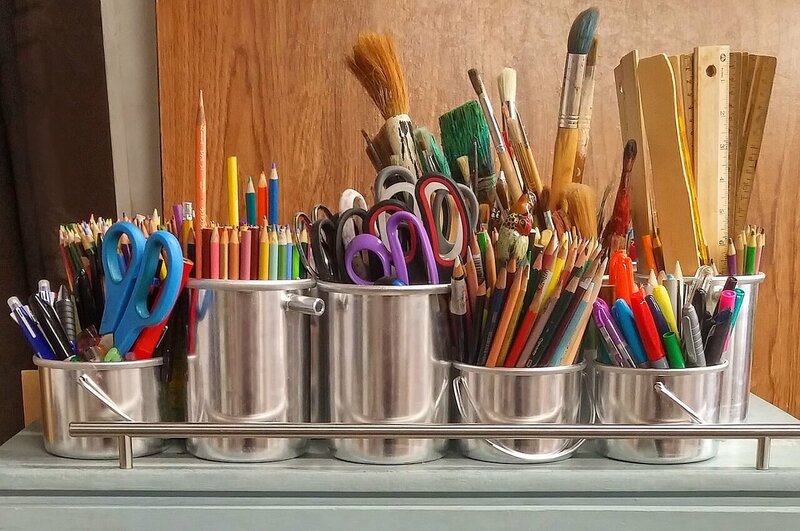 Do you have any stationery storage or organization hacks? Share them with us on Instagram or Facebook (tag @zenpopjapan). Check out our current ZenPop Stationery Pack.